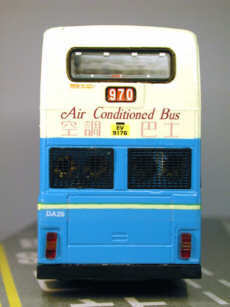 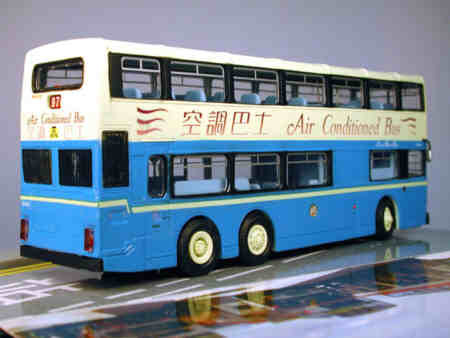 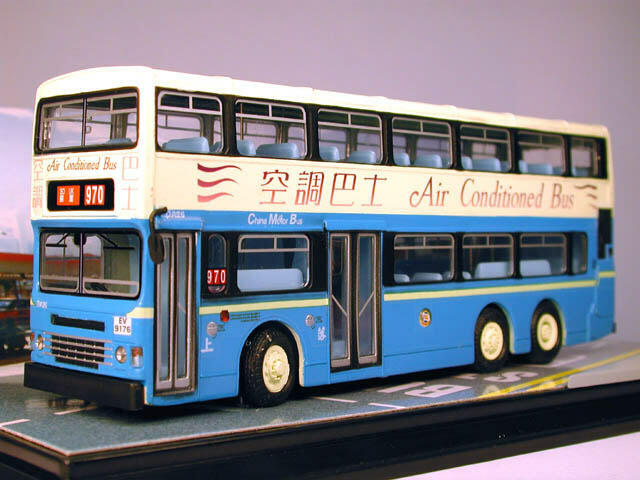 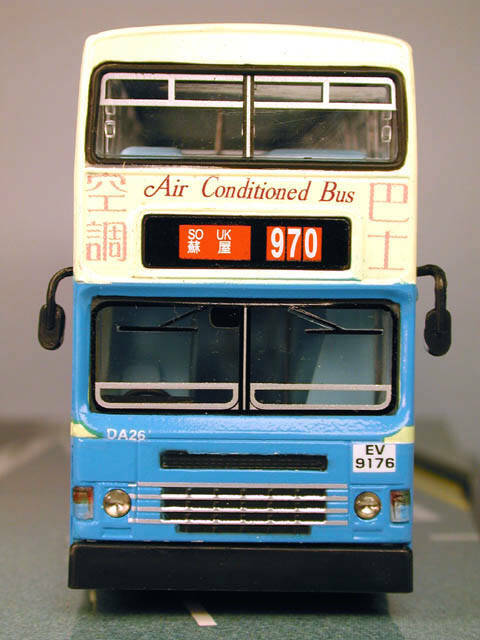 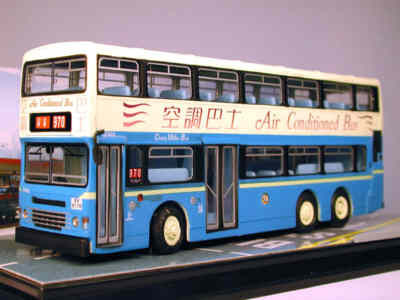 The model - this Dennis Condor was unexpectedly released in Hong Kong on 10th May 2001. 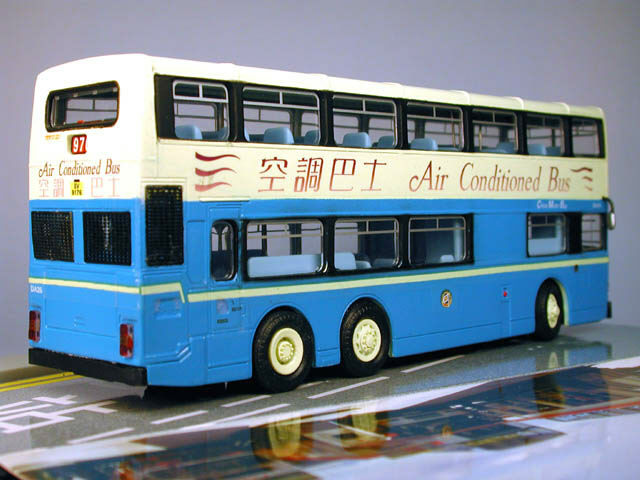 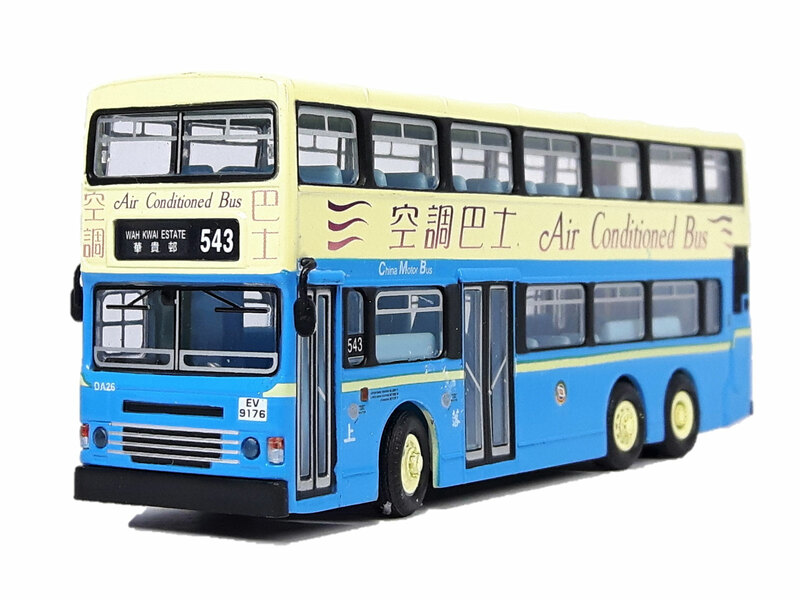 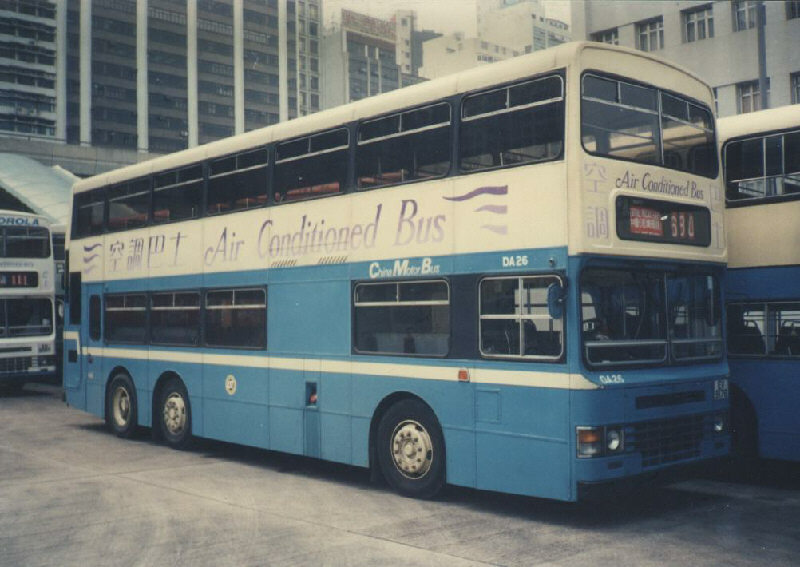 It carries the original China Motor Bus (CMB) livery applied to air-conditioned vehicles. 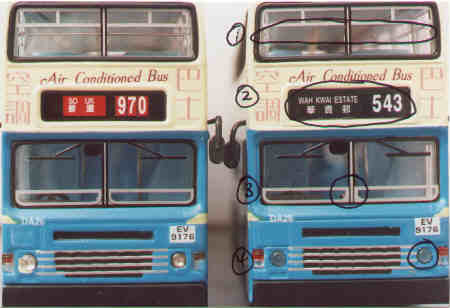 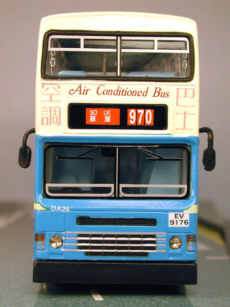 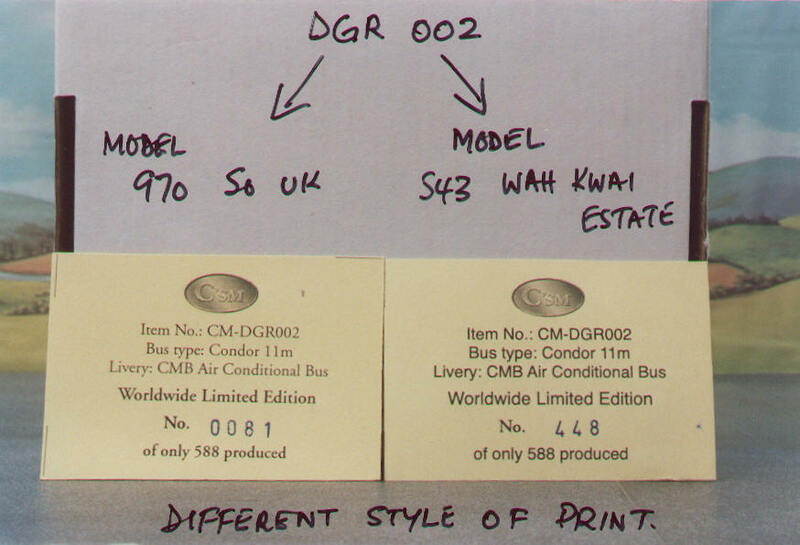 There are two versions of this model, details of which are listed below, the main difference being the route number/destination. The bus - DA26 entered service with CMB in July 1991 and was one of a class of 92 such vehicles delivered to CMB between July 1990 and September 1997. 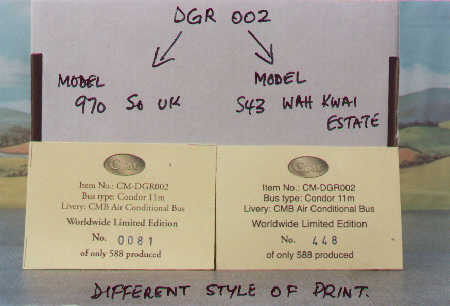 Quantities (if known) ? ?